Welcome to Hair by George Paul! As a nominee for the best hair Salon, George Paul has been serving his clients for 3 generations. Being a stylist George has done it all, from flat tops to new wave. All of George's clients are very special to him and he is anxious to add your name to that list. 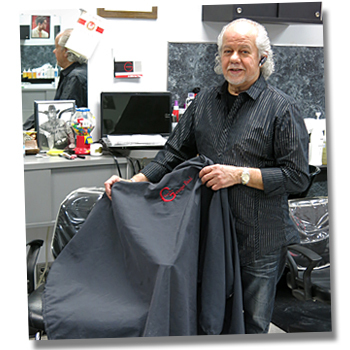 George Paul has been operating salons in the Detroit area for forty years and knows exactly what you want! He keeps up with all the latest trends in hair fashion and is a licensed Cosmetologist and Barber. He has cut the hair of many local and national celebrities, including Chuck Norris. So, whether you're looking for a whole new look for yourself or seeking a barber for the kids, George Paul is the hair care professional for you!